One of the most striking elements of Jane Hudson’s look is her make-up. 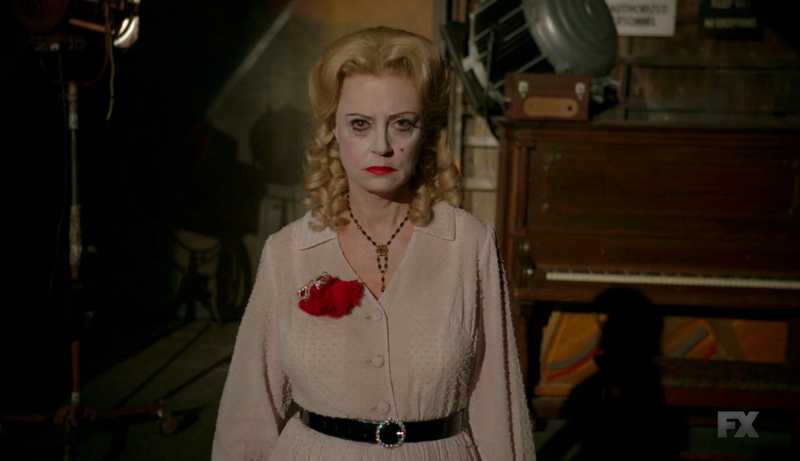 Bette Davis (Susan Sarandon) invented it, taking inspiration from the concept of the “broken doll”, so important in the aesthetic of the 1962 Robert Aldrich film Feud is based on. In the memoir This ‘N That, Bette Davis explained she imagined Jane as someone who would never wash her face, just put on another layer of make-up. The bright lips, caked white face make-up and the heart-shaped beauty mark all have a part in achieving the iconic result, not to mention the curly blonde wig, used by the other protagonist of the film (Joan Crawford) in an old movie. 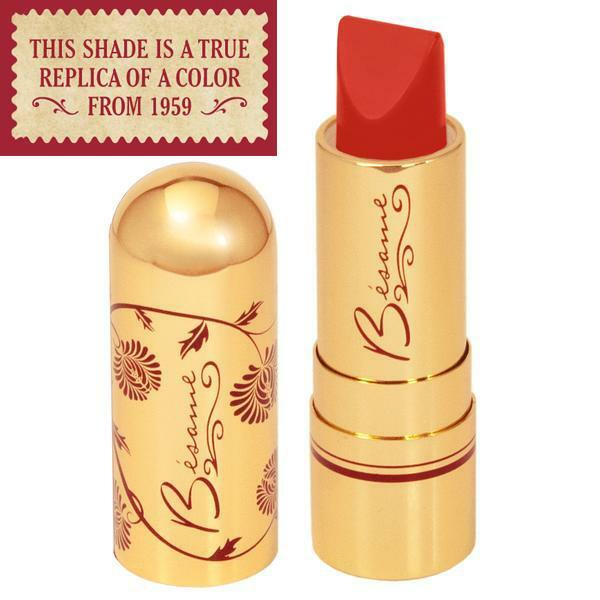 The lipstick Bette applies is by Bésame Cosmetics, a bright orange-based red. My guess is that the shade could be Red Hot Red, described as “classic engine red,” a bold and brazen warm red.